Each day in this hellish siege is full of countless stories and personal drama. Yet, there are tales that are so deeply moving, so important that they must be told no matter what. 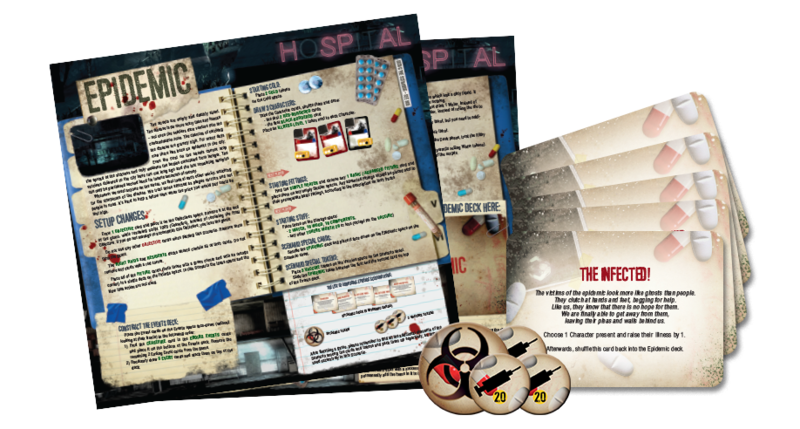 As the premiere of Tales From the Ruined City, the first expansion for our bestselling This War Of Mine: The Board Game is getting closer, we are really thrilled to tell you more about new game options. From our first preview you already know that the expansion is going to be comprised of different game modules. This time we wish to focus on the Incidents module that features 5 completely new Scenarios, each with a unique feel and theme. 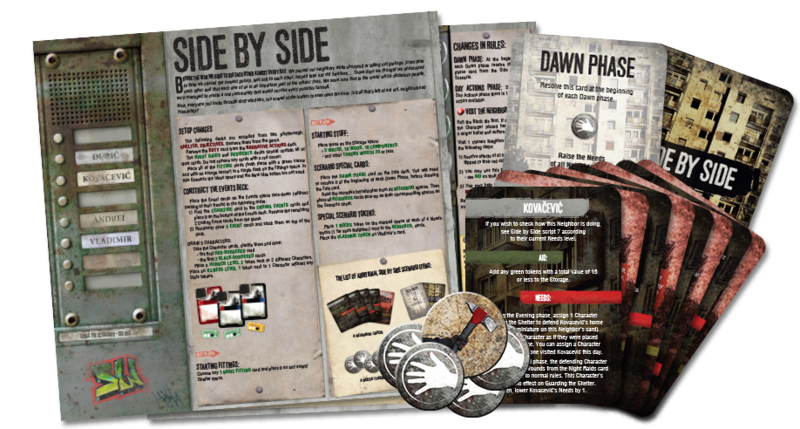 In the base game of This War of Mine: The Board Game, you could find 2 basic Scenarios called The Last Day and Endless Night. They enabled you to play a short, one-playthrough campaign, enriched with a number of special rules and winning conditions. In Tales from the Ruined City, we decided to take your gameplay to a wholly different level, with much more complex Scenarios that utilize a number of special rules, dedicated cards and tokens. Each Scenario has its own very special theme. In this article we would like to tell you about 2 out of 5 Scenarios. The first one is Epidemic. Your group finds itself in a city not only besieged by ruthless soldiers, but also ravaged by a highly contagious disease. Streets roamed by mobs of sick people, scarce supplies and vaccines sold on the black market at a steep price – all this will become a daily bread, when you choose to take up the challenge. You will have to divide your scant resources between usual needs of your group and managing the disease: facing the ailing citizens represented by a deck of Epidemic cards, getting vaccines for your Characters in a medical services station, and taking care of anyone who contracts the sickness. The word ‘survival’ will gain a completely new meaning as a Scenario action will enable you to boil water in order to avoid illness and each day you will be reminded by the Epidemic token that staying in the plagued city is tantamount to death. The last thing we are thrilled to tell you about is connected with additional content that you can find in 5 specially marked envelopes, thus introducing legacy mechanisms into the game. 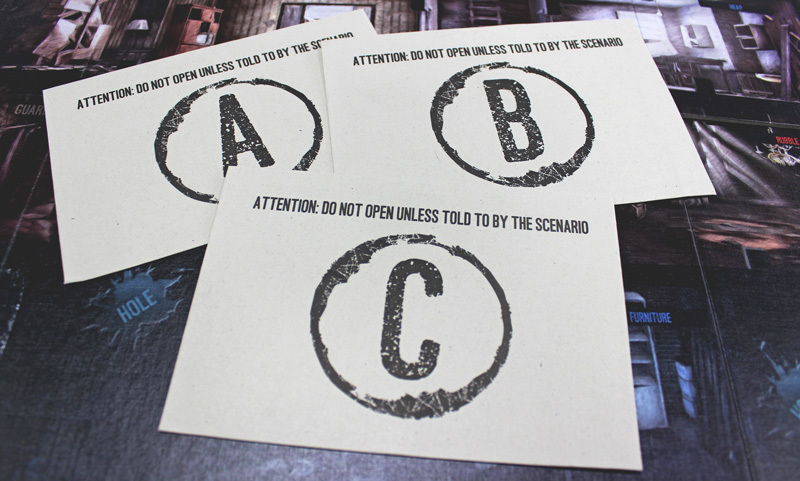 Once you manage to finish one of the Scenarios with a success, you open its dedicated envelope. Then, you may add anything you find inside to your base game and use it whenever you play any future campaigns or Scenarios. This way, you are rewarded for each victory and your This War of Mine: The Board Game copy becomes richer and richer the more you play. That’s it for now. In the next preview we will write more about 3 remaining Scenarios and until then – stay focused! 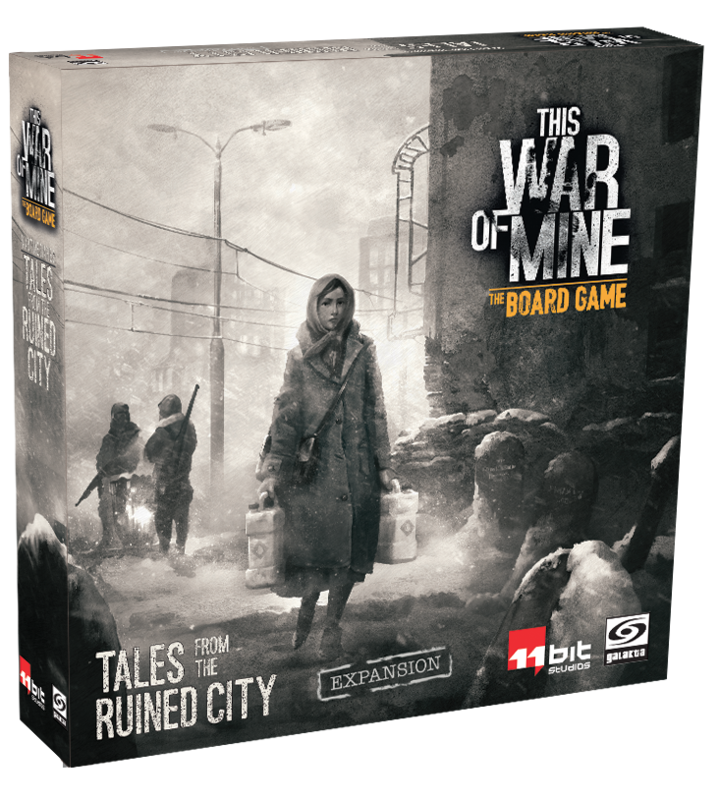 This War of Mine: The Board Game – Tales From the Ruined City will be available in Q3 2018. Presented components are not final and may be different from the final physical copy of the game.